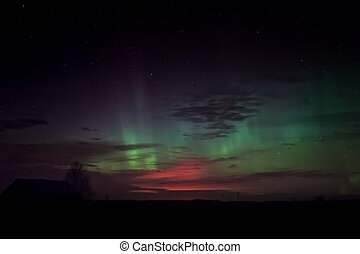 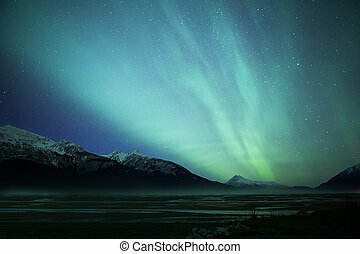 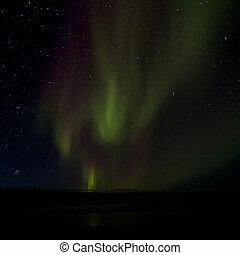 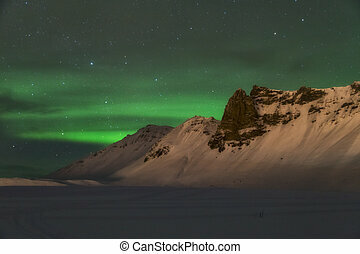 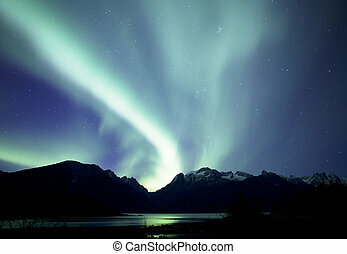 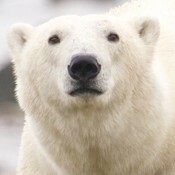 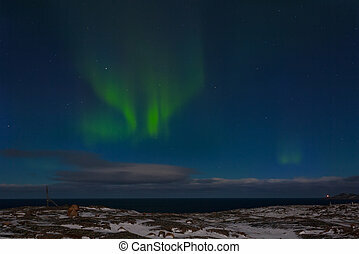 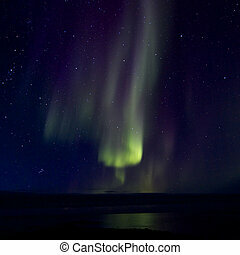 Aurora borealis over the bay 018. 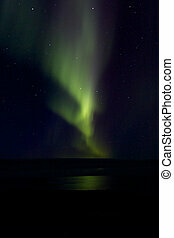 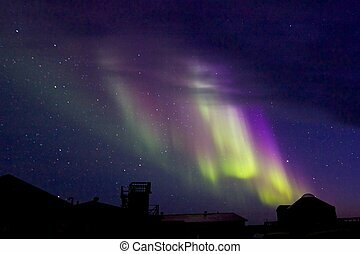 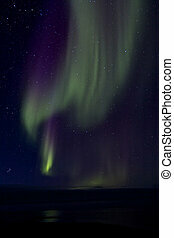 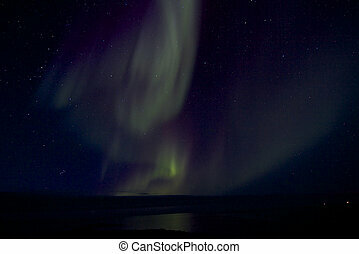 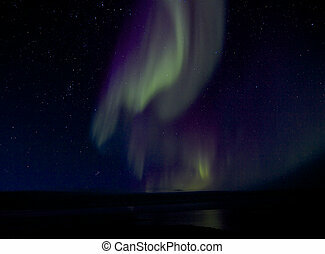 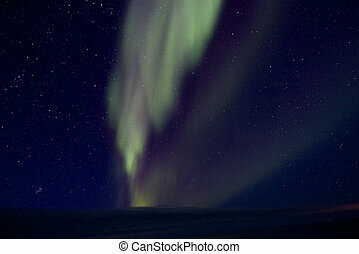 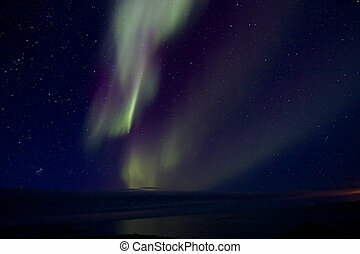 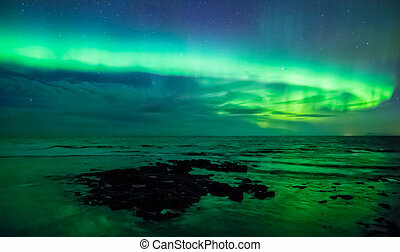 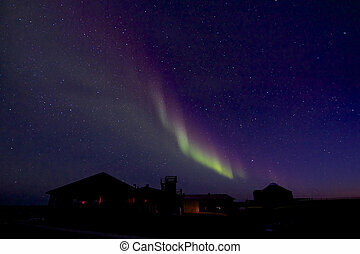 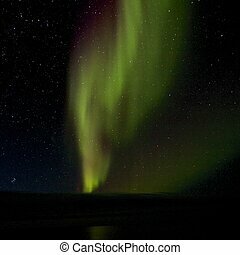 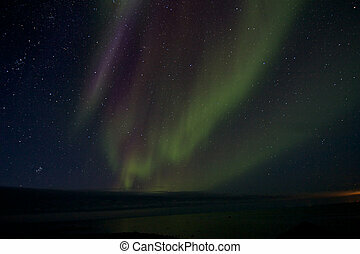 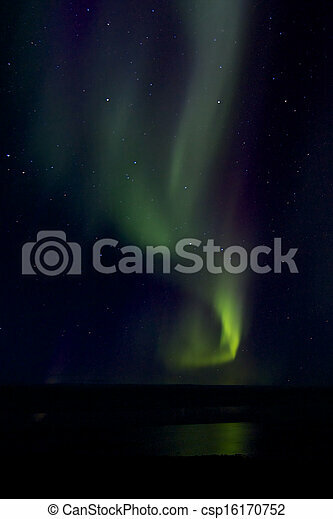 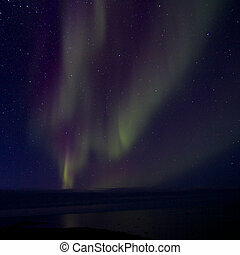 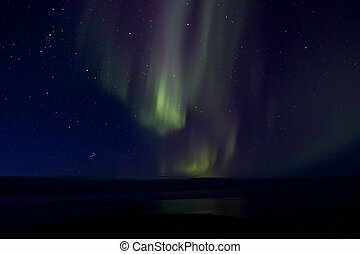 Amazing aurora borealis, or northern lights, at a sky full of stars at hudson bay, near churchill, manitoba, in summer. 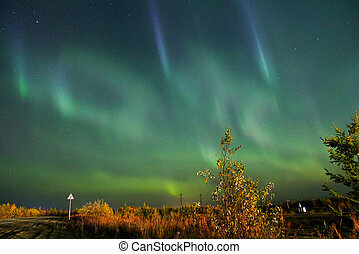 Beautiful aurora borealis over an old barn house at the Norhtern Finland. 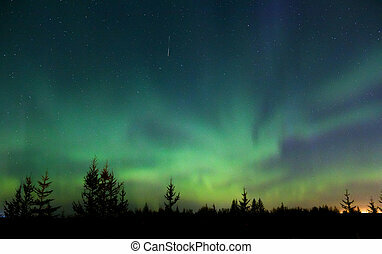 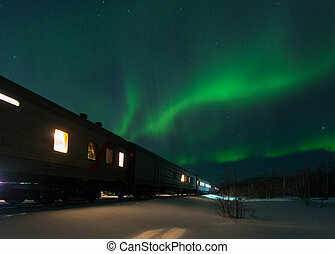 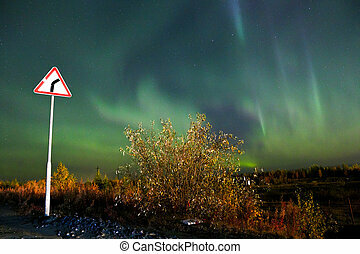 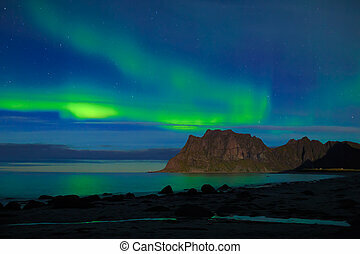 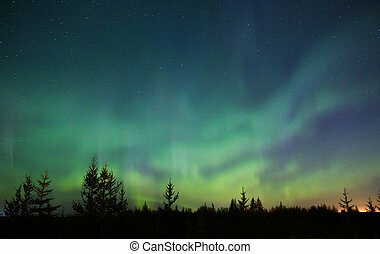 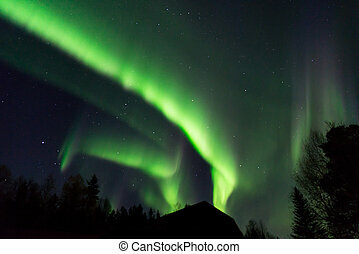 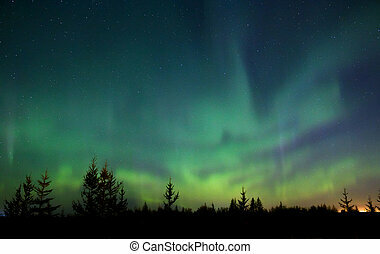 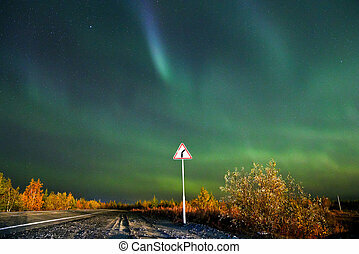 You could see the Northern lights already in the beginning of November.